Yesterday, due to weather conditions from the storms this week, the PHS Dragons varsity baseball team hosted the LaFayette Ramblers in a 6-AAAA doubleheader. These games were originally scheduled for Friday & these two teams were scheduled to play a single game at LaFayette on Tuesday. Due to storms, those games were moved around. 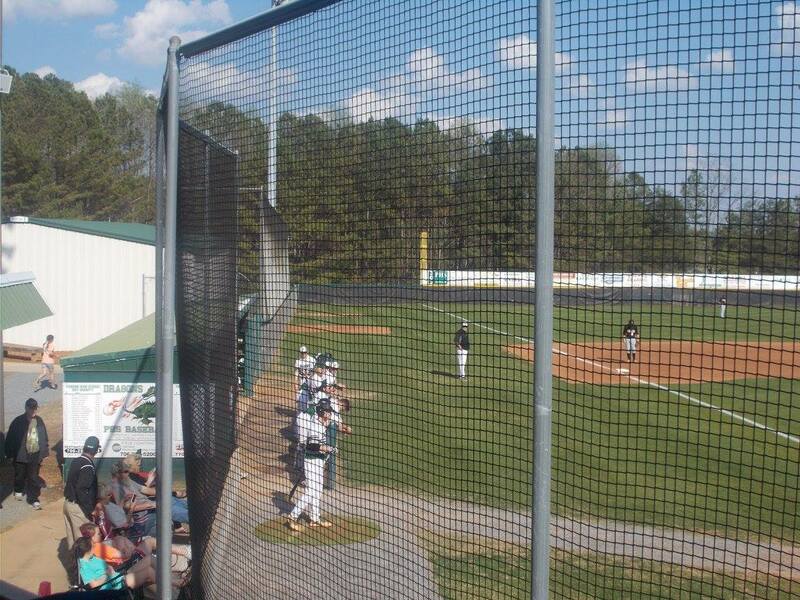 After a tough series against Northwest Whitfield last week, Pickens found themselves in a must win situation to keep pace in the region race as they were ahead of the Ramblers by 1 game in the standings coming into yesterday. 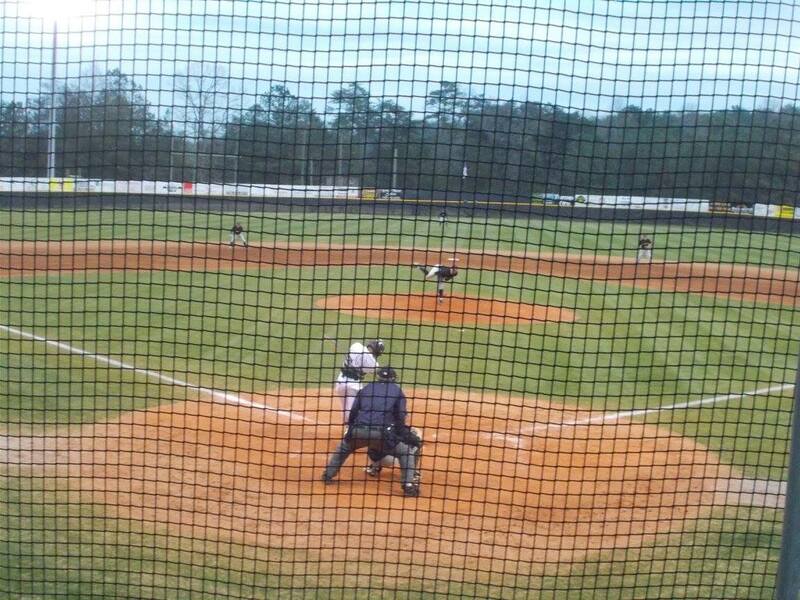 Senior Southern Union commit Travis Huffman got the start for the Dragons in game 1 & he pitched very well. He held the Ramblers to one hit, & collected a strikeout in the top of the 1st to send us to the bottom of the frame. The Dragons went in order in the bottom of the inning to send us to the 2nd, tied at 0. T. Huffman had a good 2nd inning as he only needed 10 pitches to get out of it. Pickens would strike first in this one as Dominic Stephens would reach on an error, then come in to score after a single by Wyatt Gooch to give the Dragons a 1-0 lead going to the 3rd. In the top of the 3rd, T. Huffman added to his strikeout total by punching out two more Ramblers to send us to the bottom of the 3rd. The Dragons had a chance to add to their lead in the bottom of the frame, but left two stranded and we headed to the 4th, Pickens leading LaFayette, 1-0. The Dragons were able to get out of a mini jam in the top of the 4th to keep hold of their 1-0 lead. In the bottom of the 4th, Jace Franklin gave T.Huffman & Pickens a little cushion as he hit a 2-RBI single, driving in Gooch & Zack Moore. Franklin later came in on a sacrifice fly from T. Huffman, making it 4-0 Dragons going to the 5th. The top of the 5th saw a 9-pitch inning from T. Huffman and the Pickens offense got right back to work in the bottom of the inning. Franklin added a 3rd RBI to his day as he drove in Stephens on a sacrifice fly. Z. Moore came in to score after Will Lawrence beat out a throw to 1st to make it 6-0 going to the 6th. The Dragons were able to get out of the top of the 6th without any damage done & added to their lead again in the bottom half of the inning after a 2-run home run by Stephens, making it 8-0 going to the 7th. In the top of the 7th, T. Huffman needed only 4 pitches to close out the complete game 1-hit shutout as the Dragons took game 1 over LaFayette, 8-0. For game 2, the Dragons sent out Senior St. Andrews University commit Dalton Sipsy to start. In the top of the 1st, Sipsy got off to a strong start, striking out two to send us to the bottom of the frame. The Dragons would get 4 straight hits and score 3 runs to take a 3-0 lead over the Ramblers going to the top of the 2nd. Sipsy again collected two strikeouts in the half inning and got himself & the Dragons out of a jam to keep the 3-0 lead in tact. In the bottom of the 2nd, Pickens continued it’s hot hitting scoring 6 runs on 5 hits, including a 2-run, inside the park home run from Joseph Gossett. Heading to the 3rd, the Dragons led LaFayette 9-0. The top of the 3rd saw Sipsy continue his strong start and gather yet another strikeout, bringing his total to 5 after 3 innings. After a lead off double by Travis Huffman in the bottom of the 3rd, the Dragons were unable to bring him in as he was stranded at 3rd. Pickens still held a 9-0 lead over the Ramblers going to the 4th. In the top of the 4th, LaFayette would try to get something going, but Sipsy & the Dragons were able to get out of trouble as the inning would come to an end on Sipsy’s 6th K of the game. In the bottom of the 4th, Brady Moore drove Jace Franklin to make it 10-0 Dragons going to the 5th. In the top of the 5th, with the 10 run rule in effect, Sipsy was able to end the ball game with his 7th K of the game to give the Dragons the sweep of the doubleheader, & the series win over LaFayette, 10-0. The series finale will be played at LaFayette tomorrow as the Dragons will look to get the sweep over the Ramblers. Pickens finds themselves 11-6 overall & 5-3 in region play. Dragons Improve To 6-4 With Win Over Towns Co. 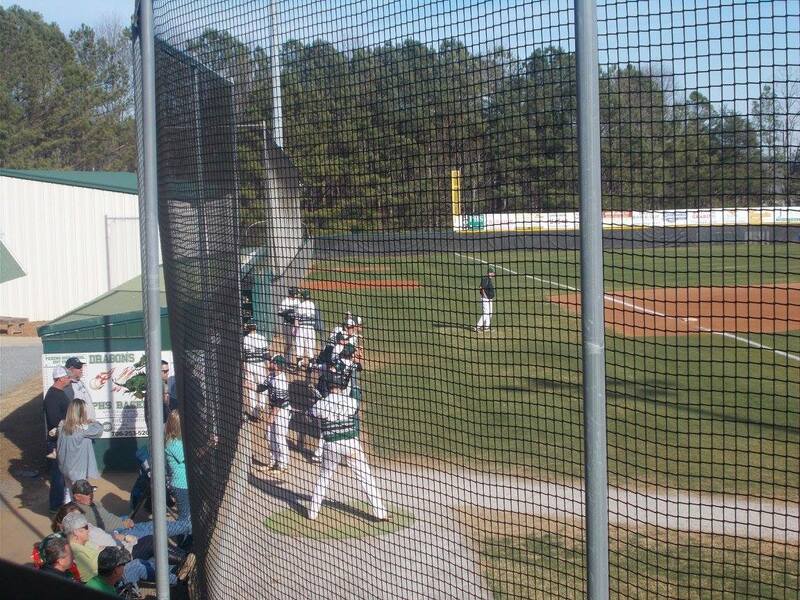 Yesterday, the PHS Varsity Baseball team hosted the Towns Co. Indians in a non-region ball game at Dragons Field. 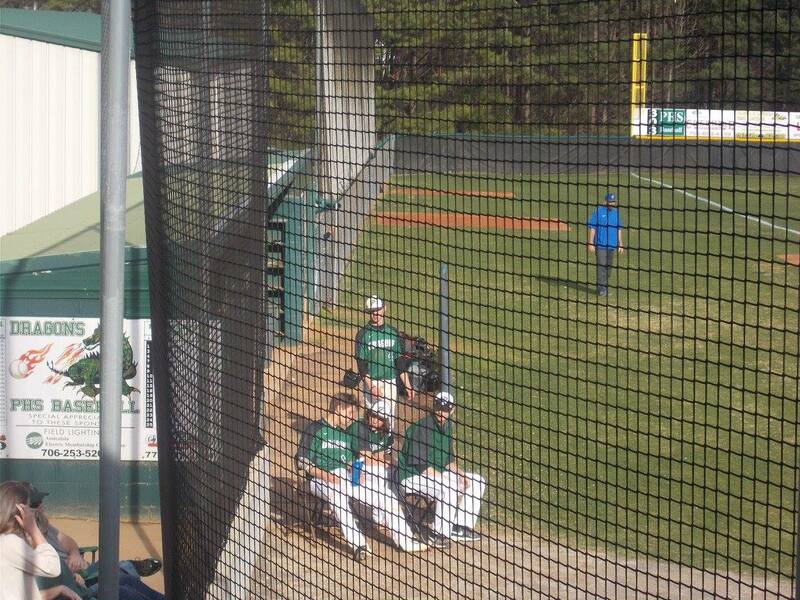 Pickens came into the ball game at 5-4, and looked to keep things going with region play starting later this week. Dylan Huffman got the call to start for the Dragons and looked very impressive. Towns Co. was able to get a run on two hits, but D. Huffman & the Pickens defense kept the damage to just one to send us to the bottom of the frame. The Dragons answered with 2 runs to take a 2-1 lead going to the 2nd. In the 2nd, D. Huffman worked around a runners at 1st & 3rd jam to keep the Pickens lead at 2-1 going to the bottom of the 2nd. In the bottom of the 2nd, the Dragons bats came to life and Pickens would blow things open. The Dragons ended up batting around in the line up twice, scoring 15 runs, and mashing out 12 hits in the half inning to lead the Indians, 17-1 going to the 3rd. Towns Co. got a run out of the top of the 3rd, but that was it as the game was called after three innings due to the 15 run rule. 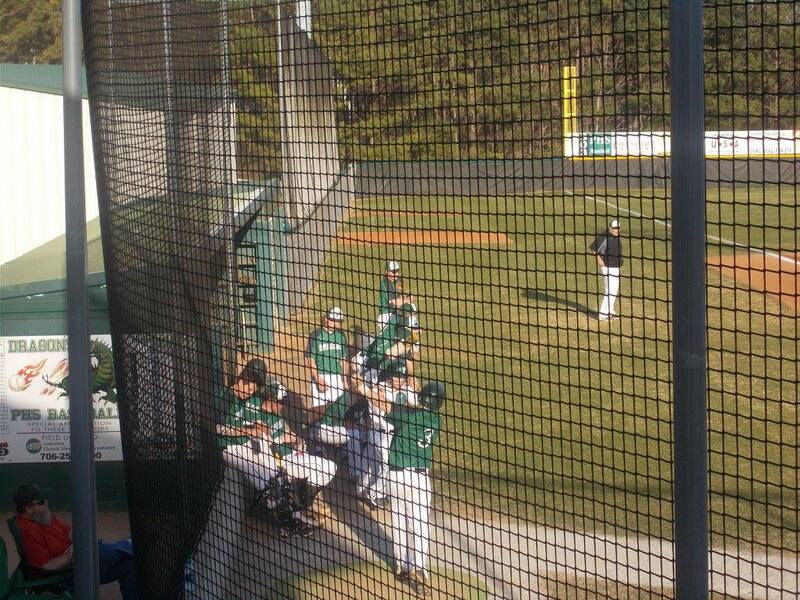 Pickens got the win, 17-2. The Dragons will be back at it on Wednesday as they travel to take on the Union Co. Panthers before hitting the road again on Friday as they open up region play with a doubleheader against LaFayette. Dragons Get The Week Sweep Over Murray Co. 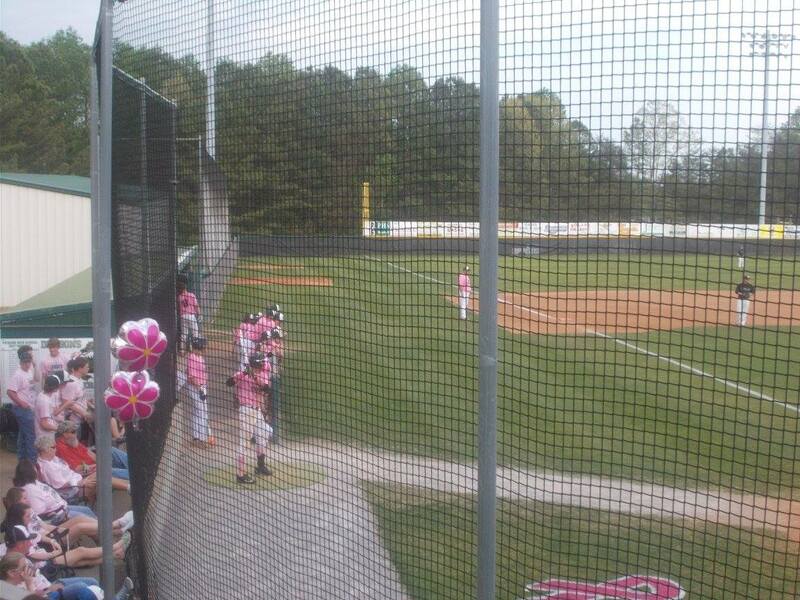 Yesterday, the PHS Dragons varsity baseball team hosted the Indians of Murray Co. for a non-region ball game. Pickens came into the ball game having defeated the Indians over at Murray on Tuesday 13-1, and were looking to get the week sweep inside their park. Dalton Sipsy started for the Dragons yesterday and got 2 K’s to begin the game, but the Indians were able to bring a run in and lead things 1-0 going to the bottom of the frame. A lead off triple by Travis Huffman sparked a four run inning for Pickens. Wyatt Gooch brought in 2 with an RBI double & Sipsy & Gooch later came in to score. Sipsy kept the Indians quiet in the 2nd as he struckout the side to send us to the bottom half of the inning. In the 2nd, the Dragons as T. Huffman & Dillon Champion drove in runs to make it 6-1 going to the 3rd. After striking out the 1st batter he faced in the 3rd, Sipsy was relieved by Walker Lawrence who worked around a bloop hit to get the final two outs of the inning to bring the Dragons back up to the plate. Pickens scored 5 runs in the 3rd thanks an RBI from Slade Hillhouse, 2 RBI from Zack Moore, & an RBI from Joseph Gossett (one run was brought in on an error), to give the Dragons an 11-1 lead going to the 4th. Josh Holbert relieved Lawrence in the 4th and also worked around a hit to finish off the inning to send us to the bottom of the 4th. The inning began with the 4th place hitter Dominic Stephens, and the game ended with Stephens as the Dragons again brought in 5 runs making it 16-1 after Stephens’ RBI hit and envoking the 15 run rule after 4 innings. Pickens took this one, 16-1. 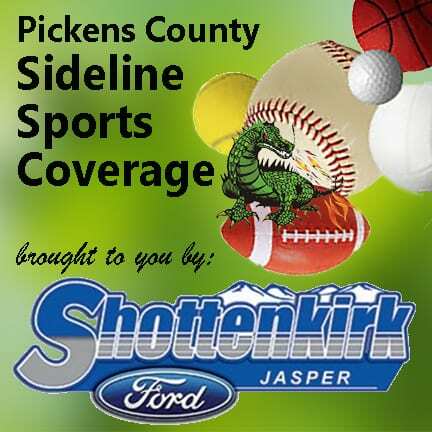 Pickens outscored Murray Co. during the week 26-2 in the two wins. The Dragons got great pitching all game long and showed patience at the plate having only 8 hits to go along with their 16 runs. Next Article » PHS Theatre to Present "You're a Good Man Charlie Brown"